May 18, 2004: Randy Johnson, of the Diamondbacks, pitches a perfect game. 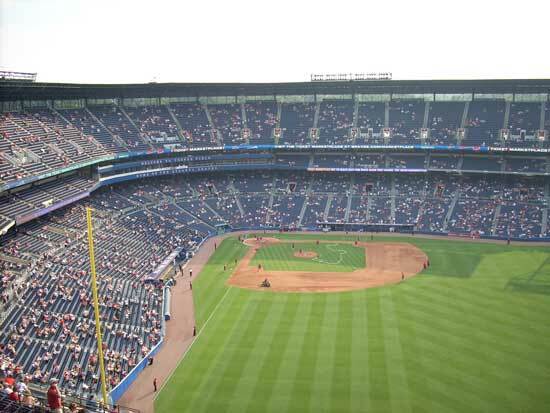 While the Braves were in the middle of rattling of an unprecedented fourteen division titles in a row, they decided it would be a good idea to get a new stadium. They wanted one of those fancy new "retro" style stadiums that were all the rage. However, like most other teams in baseball, they did not want to pay for it. Right around this same time, Atlanta has a problem as well. They were going to host the 1996 Summer Olympic Games, and needed to build a stadium, but what were they going to do after it was constructed? 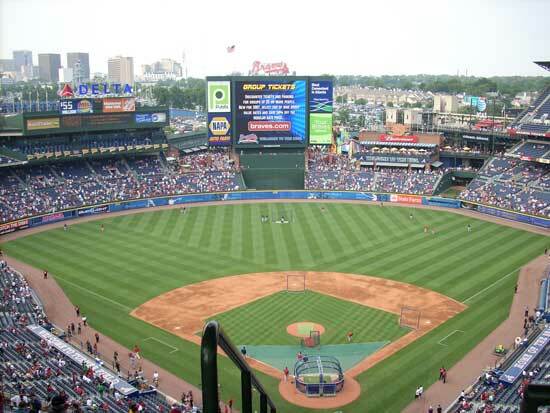 Well, the Braves and Atlanta got to talking and it was decided that once the Games were over, Olympic Stadium would be converted to a baseball only facility. Talk about being in the right place at the right time. This park was alright. Its best feature, easily, was the gargantuan HD video display. The park also had a nice view of the downtown Atlanta skyline. There was plenty of various activities for kids to take part in as well. What this stadium did lack was a whole lot of character. It was your standard, run of the mill "retro" stadium. One thing I did not like about this stadium was that you could not see the action on the field from the concourse.